There are many examples of depression from the life of David, who may have had a tendency toward depression that many of God's children have experienced over the years. Many of his psalms deal with this very issue in one way or another, but we will limit our focus to just two of them. Here we see that the cause for David's depression in this instance was mainly the bad treatment he was receiving from others. He refers to those who are abusing him as “workers of iniquity” (vs. 8) and “enemies” (vs. 10). He doesn't tell us what they were doing to make his life so miserable, but miserable he surely was (vs. 3)! In fact, we have here not only the typical weeping that comes with depression (vss. 6-8), but also the physical symptoms that may accompany it (vs. 2). This psalm really hit home with me because a great deal of the depression I had experienced early in my life had to do with the mistreatment I received from others. But, sadly, I did not discover what David knew until I was twenty years old, namely that I could find help from God through praise and prayer. But this is what David discovered, isn't it? For isn't this psalm both praise and prayer? In it David calls out to God for help and also expresses confidence that God will indeed answer him (vss. 8-9). So here again we have the most basic answer for depression – simple trust in the Lord, a trust in Him that gives us confidence to open our hearts to Him. This psalm also shows us the importance of sharing our troubles with other people. After all, this psalm was written by David to be sung by others. How sad it is, then, when believers keep their depression all bottled up inside, instead of sharing it with God and His people. Here the obvious reason for David's depression was guilt due to unconfessed sin. Notice several effects of this guilt in verses 3-4. First, David had not only emotional effects (“groaning,” vs. 3), but also physical effects (“my bones grew old,” vs. 3; “my vitality was turned into the drought of summer,” vs. 4b) from unconfessed sin. Second, David was continually plagued by the unconfessed sin and the accompanying symptoms (“day and night,” vs. 4a). Third, David had these ailments and depression as a result of God's discipline (“Your hand was heavy upon me,” vs.4a). If God can discipline through sickness, weakness, and even death, then He can certainly do so through depression, can't He? I believe so. In fact, I think this was the very thing David experienced due to unconfessed sin. If you are experiencing depression because of unconfessed sin or due to God's discipline, then you need to remember not to get discouraged and think that it is a sign that God does not love you. Actually, it is a sign of the very opposite! It is a sign of His great Fatherly love, because of which He will apply the discipline you need. I wonder how many of us may be struggling with depression or some physical ailment due to a stubborn refusal to deal with our sins by confessing them to the Lord and receiving His Forgiveness. And I wonder how many of us in such a condition can deny that it is pride that keeps us from calling out to Him in repentance as we should? So again we see that depression is often bound up with pride. The first two senses listed overlap nicely with the semantic range of the Hebrew term used by Moses. It helps us to see that Moses may have been distressed both at his own continual misery and at his own deplorably bad reaction to it. Perhaps he was just sick and tired not only of the stress and depression stemming from all the Israelites' constant complaining and weeping, but also from the trial of being mad at them and disappointed in them all the time. Notice how graciously God helped Moses by giving him a way to minimize the stress he was under through sharing the burden with others. We can learn a lesson from this, namely that, when we are struggling with depression due to stress, we need to share our burdens with the Lord and with fellow believers when they become too heavy to bear alone. NKJ Hebrews 2:17-18 “Therefore, in all things He had to be made like His brethren, that He might be a merciful and faithful High Priest in things pertaining to God, to make propitiation for the sins of the people. 18 For in that He Himself has suffered, being tempted, He is able to aid those who are tempted." It is significant that the Greek word translated boldly in 4:16 (or with confidence as in ESV and NASB) can literally mean “speaking all things” (Linguistic Key to the Greek New Testament, p. 677). Thus it can refer to “a use of speech that conceals nothing and passes over nothing, outspokenness, frankness, plainness” (BAGD3 # 5720, BibleWorks). This is why it could also be used of the boldness the Apostles had in sharing the Gospel (e.g. Acts 4:29, 31; 28:31) and could even be used to refer to “a state of boldness and confidence, courage, confidence, boldness, fearlessness, esp. in the presence of persons of high rank” (BAGD3 # 5720, BibleWorks). You see, the Greek word refers to the confidence or boldness that one has to speak openly, even in the presence of someone great. And I think this connotation is to be understood in Hebrews 4:16 with respect to the way we come before God in prayer. We need to know that, because Jesus understands all that we are going through, we can truly pour out our hearts before Him and find the grace we need. Perhaps a brief illustration may help to get the point across. I recall that in my Navy days I could not just go up to the captain of my ship and speak to him whenever I wished. I had to have permission to do so. And even when I was called to stand before him and speak with him, I could not simply say whatever I wished. For that I had to ask permission to “speak freely,” and could only speak freely if such permission were granted to me. Well, in Hebrews 4 we are given permission not only to come before God, but to speak freely when we do so. We are invited to come boldly – to speak what is on our hearts in prayer – before His throne of grace, encouraged by the fact that Jesus, our Great High Priest, sympathizes with us in all our weaknesses, including when we struggle with depression (more on this in a later, when we do a case study of Jesus Himself as one who knew the depths of depression). So the person with depression is going to struggle with opening up to God and is going to encounter spiritual warfare that will make this even harder. But notice that Peter sees the real trouble as being pride. And he teaches that we will never find the grace we need if we do not humble ourselves before the Lord. Sadly, however, far too many depressed people struggle with pride that will not let them truly surrender their problems to the Lord. Far too many of them believe the devil's lie that God does not care and that if He did they wouldn't struggle with depression in the first place. I hope we have seen, however, that this is far from the truth and that God not only cares, but that He cares so much that He gave His one and only Son to be our High Priest and to allow us to come boldly before His throne of grace, where we may obtain “grace to help in time of need” (Heb. 14:16). But this boldness is not brashness; it is rather a deep humility that trusts in the Lord and in His grace. But one thing Moses' example – the example of the most humble of all men in his day (Num. 12:3) – teaches us is that we must be humble enough to trust the Lord to help us, and we must be confident enough in His love for us that we will truly open up to Him. And when He provides a means to help us through the aid of our fellow believers, we must be humble enough to accept this as well. In our first case study, we saw that depression can be the result of unresolved sin, but in this case study we will see an example of depression that doesn't stem from sin, even though it leads to sin. In fact, we will see that even the most righteous man on the earth in his day succumbed to a sinful attitude in the midst of a terrible depression. In this case study we will focus our attention upon the account of Job, who is perhaps one of the first people we think of when we think of Biblical examples of depression. And we are given some very good reasons for why he was depressed. For example, we know that God at first allowed Satan to destroy Job's family (except for his wife) and all of his property (1:13-19). But we are told that Job's initial reaction to these terrible events was one of godly worship, even in the midst of such deep pain and anguish. So, Job found refuge in his knowledge that God was sovereign over all things, even over the terrible things that had happened to him and his wife, when they lost all their children and all their possessions. How sad what has happened to Job! After refusing either to curse God or accuse Him of any wrong (1:20; 2:10), he eventually succumbed to the pressure of his circumstances and the resulting despair and accused God of wrong. Such has been the temptation of many a depressed and sorrowful soul. Thankfully, though, Job never did curse God and turn away from Him, no matter how bitter and angry he became. Notice that the first thing Job does, once he understands again the greatness of his sovereign God, is to repent. He repents of what he had said before about God, when he accused Him of treating him unfairly, and he admits that he never deserved to be treated well in the first place. Indeed, he hates what he has done. In light of who God is, he sees himself as small and insignificant and in need of God's mercy. I think we may learn a valuable lesson from Job's example. You see, we will never have as clear a vision of God as we may have when we have been brought to the end of ourselves. And, when we have been brought to the very end of ourselves, to the end of our ability even to cope, we will discover that the clearer vision of God that we receive will be enough, even if it we don't get answers to our questions. To be sure, we should not expect to experience a theophany in which God appears to us in a whirlwind, as He did to Job, but we will nevertheless be able to ascertain like never before just how great He really is! Do you want to know how great God truly is? If so, then you will have to discover how insignificant you truly are, and this means you will have to be brought low, perhaps to the deepest reaches of depression. But it will be worth it, and it will make you more useful to God as well, just as it did Job. Notice, for example, that at the beginning of the book we are told that Job offered sacrifices for his children and interceded for them (1:5). But at the end of the book Job's ministry was expanded to include his friends (42:7-9). Thus he found that he was able to minister to the very friends who had let him down, and he was able to do so in a way he never could have had he not gone through the trials he went through. We are also told that Job received more blessing from the Lord than ever, after he had gone through all of his trials (42:12a). Perhaps we should consider that the kind of depression we all dread so much (3:25) may just be the best friend we could ever have! In my view, this is one of the great lessons to be learned from the example of Job. For even if we cannot see it clearly at the time, such calamity and depression may be the best thing for us in the end. But we need to trust God as Job did in order to see it. As Paul later teaches us, we need to remember that “all things work together for good to those who love God, to those who are the called according to His purpose” (Rom. 8:28). I guess what I am trying to say from the teaching of Job, as well as from my own experience, is that depression could just be the best friend a person may ever have, but a person has to be willing to make friends with it. There has to be a willingness to see it in the context of God's larger plan. In fact, there has to be a willingness to see it as an opportunity to know God better and to better make Him known. I believe this is what Job discovered in the end, and I hope we may discover it as well. So the text indicates clearly that Cain was depressed and that his depression was connected to his anger, anger which the context leads us to believe was toward both God and Abel. He was clearly angry because God had not accepted his offering, which means that he was angry at God. But he was also clearly angry at Abel for having been accepted by God when he had not been, which is obvious from the fact that he murdered Abel (vss. 8-9). 1) Depression can result from an unrepentant heart, such as when Cain refused to heed God's counsel and repent of his sinful heart. Cain wanted God to accept him, but only on his own terms. His prideful heart would not allow him to humble himself before the Lord. Instead of confessing his sin and seeking God's grace and forgiveness, he let his anger rule him until it led to murder. 2) Depression can result from unresolved anger. 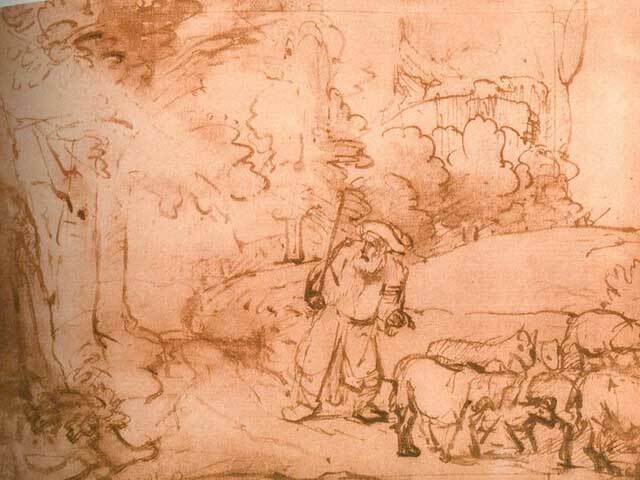 Cain became depressed because he was angry and refused to deal with his anger in the right way. 3) Depression can result from feelings of inadequacy and perhaps jealousy of someone else. 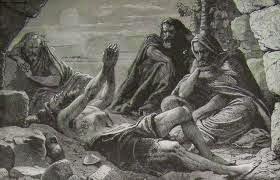 In this case Cain felt he couldn't please God and was jealous of Abel's relationship with Him. But he could not see that the problem was not really his inadequacy; it was really his refusal to come to God on God's terms. The cure for the depression Cain experienced is obvious from the causes, isn't it? All Cain had to do was confess his sin and ask for God's grace. But he refused to do so. We can also learn from Cain's example that sometimes depression is a signal of pride and unresolved sin in a person's life. Sadly, most people today resent even the suggestion of this possibility when they seek help with depression. Yet, isn't this the very issue God Himself raised with Cain in response to his depression? Indeed it is, and it is the very issue many who struggle with depression need to confront in themselves as well. In fact, although I risk sounding insensitive to many, and even cruel to some, when I say this, nevertheless I must say that in my experience some of the most depressed people I have known are also some of the most prideful or angry people I have known. I include my own past struggles with depression in this assessment. Now, I would of course never say that this is the only – or even the primary – reason for depression for many who struggle with it, but I do believe it is a far more common source of depression than many want to admit. And the reason they don't want to admit it is the very same reason that Cain didn't want to admit it, because they would rather blame God or some other person for their dilemma than take responsibility for themselves. This tendency toward refusal to take personal responsibility for one's actions or the state of one's own heart is a growing problem in our culture, and it has made significant inroads into the churches as well. In addition, even where unresolved sin such as pride and anger are not readily identifiable as the source of one's struggle with depression, these sins are often present as a response to depression. I have dealt with many a person who responded to their struggle with depression by becoming angry at God, for example, and who have pridefully refused to let go of their anger, and it has only made their battle with depression even more difficult. Therefore it is all the more important that we do not shirk from raising the issue of sin when dealing with depressed people. Although we may not know their hearts the way God knew Cain's heart, we do know that they were born sinners just as Cain was, and thus we also know that sin will likely be a crucial factor in their struggle with depression, whether as its source or as a complicating factor.